Haunted by an unclear past, biologically enhanced Marine, Eva Montreaux, can't be distracted from her mission. With American servicemen being brutally murdered on the island of Okinawa, it's more than priority. It's critical. But when her investigation brings her face to face with Marcos Delacruz, it triggers memories. Ones she lost. Memories that somehow include him. 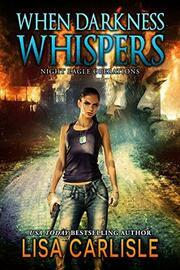 When Darkness Whispers is full of paranormal romantic suspense you won't want to put down! Go undercover with a supernatural team into a world of vampires, gargoyles, shifters, demons, and ghosts. If you like haunting mystery, spine-tingling suspense, and Japanese mythology, you'll love When Darkness Whispers! Don't miss this Top Pick!Scroll up and get your copy today!